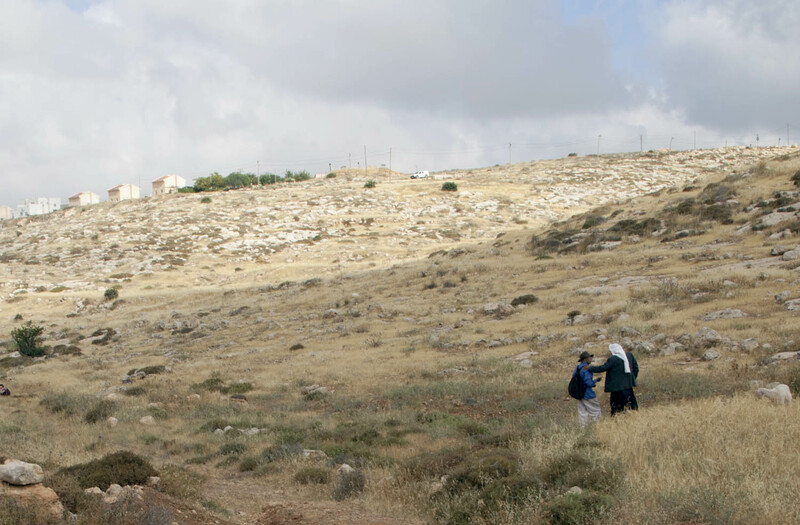 It torments me all the way down to south Hebron, a dark and acrid journey. Why why why? 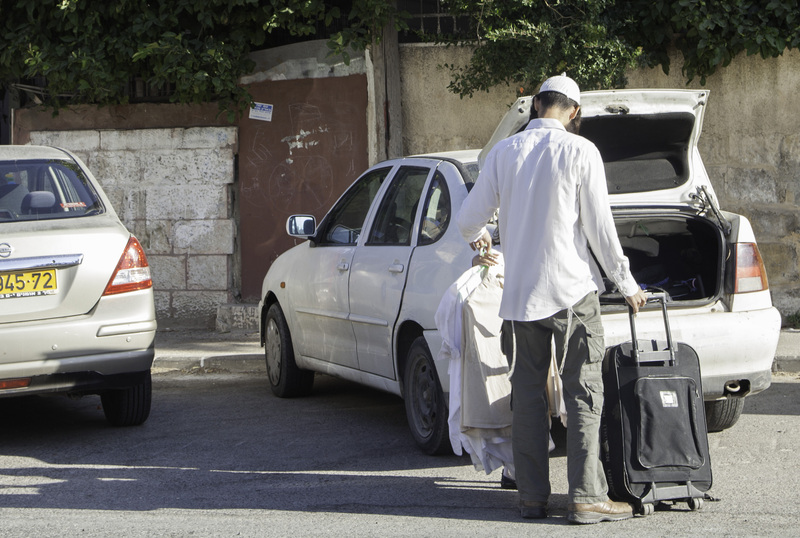 I remember this: when you’ve been away and you come back, at first you find the reality of Palestine unreal. Unthinkable. A kind of lunacy. The colonial project, the horrific crime at the heart of it—it all looks mad, and beyond fixing. Nothing we do can change it. Nothing we say matters. Then, after an hour on the hills with the shepherds, the craziness begins to feel natural, normal, and I know what I have to do. I’m lucky to be with Guy today. He turns out to be a hardened optimist: Maybe the elections this week will bring the beginning of the change. But even if they don’t, we’re coming closer to the point of decision: either full-blown apartheid or a peace agreement, whose details are anyway well known. 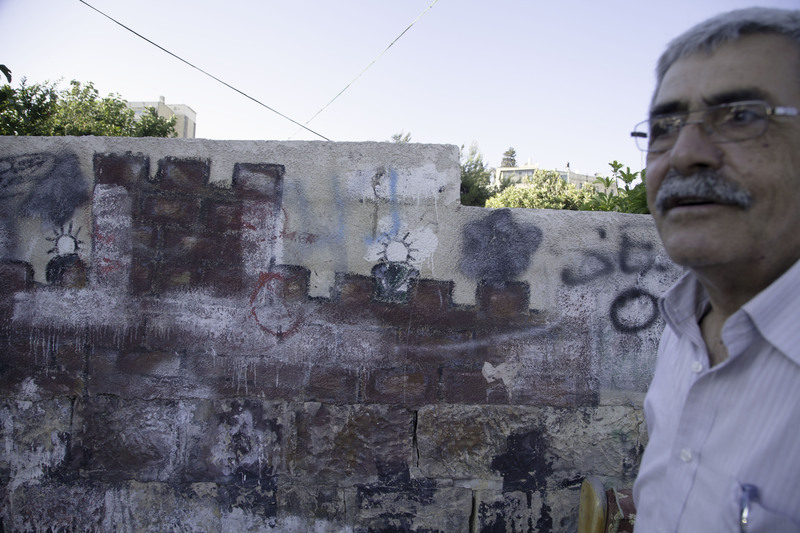 If Israel opts for apartheid, the Netanyahu way, then the world will force a change. The pressure is building up. The boycott will do it. One day we will come down here to visit our Palestinian friends, we will remember these bad days, we will have coffee and laugh, we will say: “Do you remember that hot day in March when the soldiers came and arrested Hatim and Guy and Majlis Salim and Jihad Salim, when they cooked up this idiotic rule that you can’t graze the sheep in the wadi or on the slopes to the east, and they held them for hours in the jeeps and then finally let them go?” Those good days will certainly come, Guy says, it could, it should, be paradise here. In the meantime, we have to do what we do to keep things from getting worse. 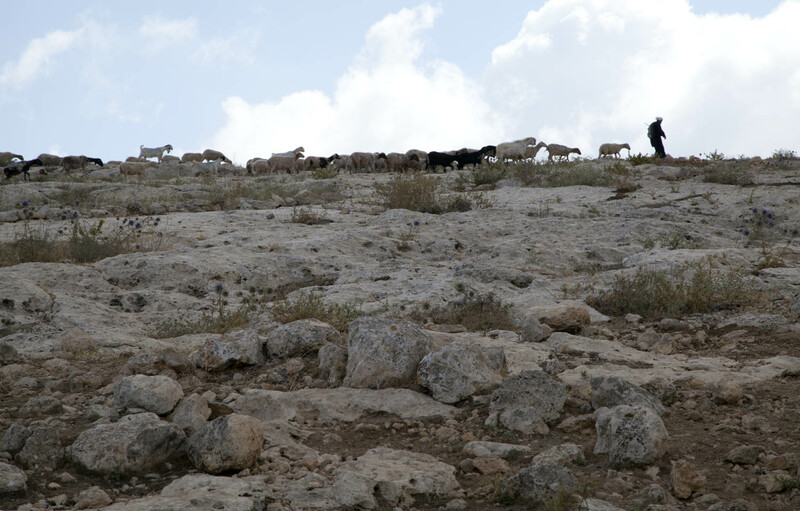 Rashad has a permit, which means he can work inside Israel; so he’s in Beersheva most days of the week and out on the hills with the sheep only on Saturday. He’s rough, good-natured, utterly and oddly innocent, as innocent as a human being can be. He thinks people have the option of being good. He laughs a lot. I like the idea that we’ll come back some day to laugh again with him. Pastoral interlude. We lie in the sun, resting against the rocks, waiting. A delicious silence soaks the green slope—green as Ireland, after the rains. Everywhere the anemones are straggling into the sunlight, and there are daisies and dandelions and tiny nameless purple blossoms and thick green reeds as well. A partridge flutters over the stream. Happiness. Guy says it’s the silence before the storm. Of course he’s right. 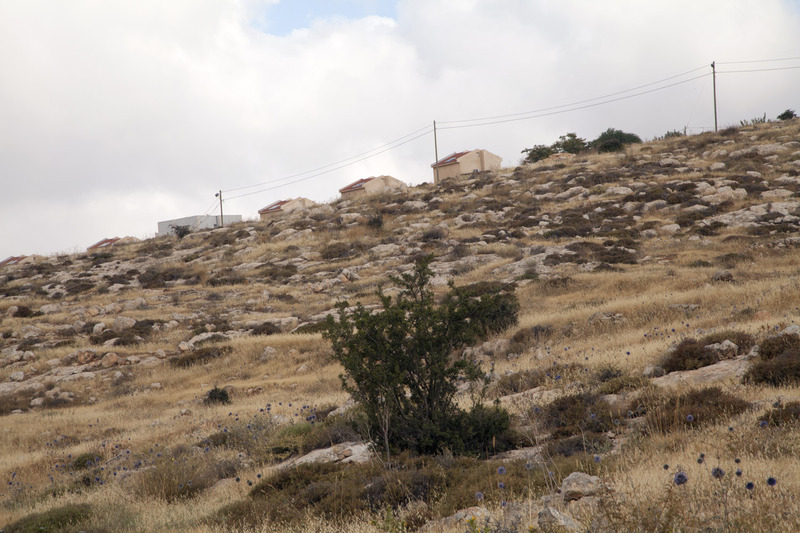 Above us, across the wadi, there’s the settlement of Har Hamor, where a single settler family lives. 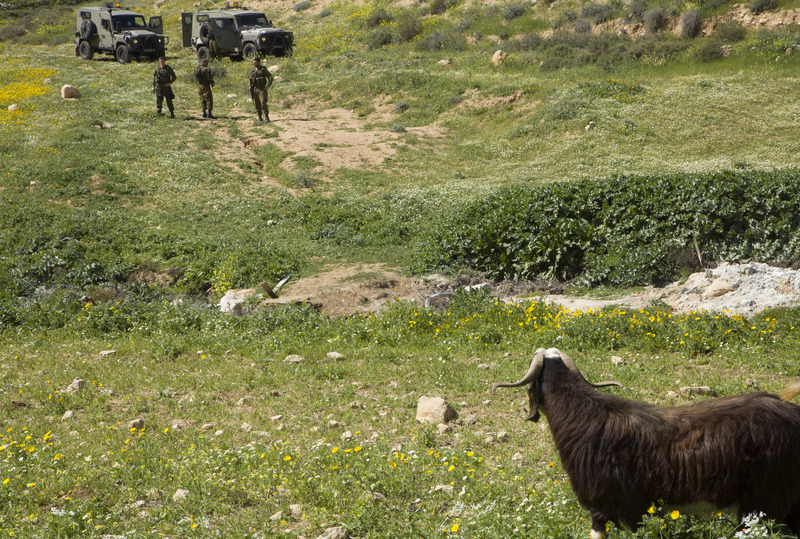 They’ve cordoned off huge chunks of the ancient grazing grounds, and, as always, they’ve got the soldiers to guard them and do their bidding, which means driving Palestinian shepherds off Palestinian land. 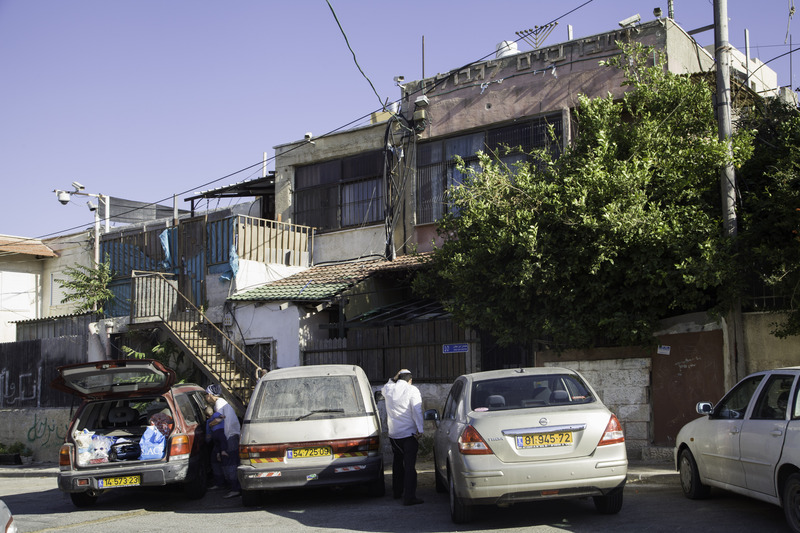 It’s no surprise when two drab khaki-grey jeeps turn up on the path near the tiny stream, heavy with the sewage of Kiryat Arba, at the base of the hill. Then they are upon us. He’s made it up. There’s no legal basis to this draconian restriction. We tell him so, but it makes no difference. He’s given us 10 minutes to get the shepherds uphill before he arrests them. 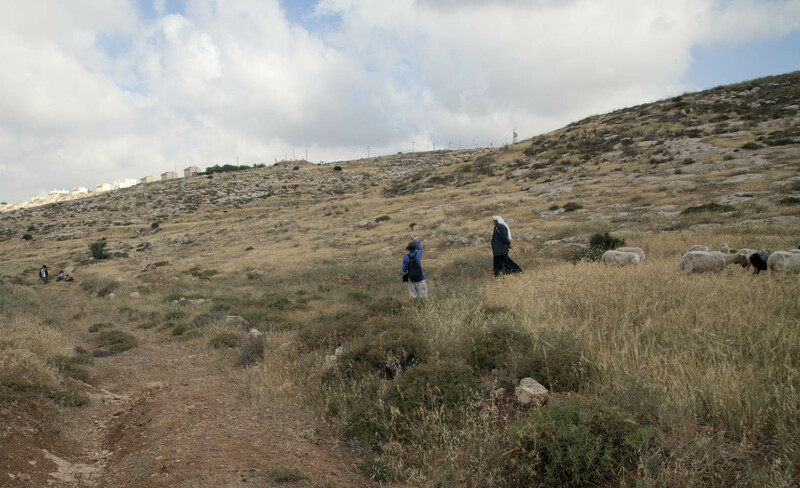 We Israelis, he says, can remain on the “Jewish grazing grounds” if we agree to move a few hundred meters up the slope. The 10-minute deadline applies to us too, and the clock is running. Here’s a little mini-apartheid moment, as we firmly inform him. 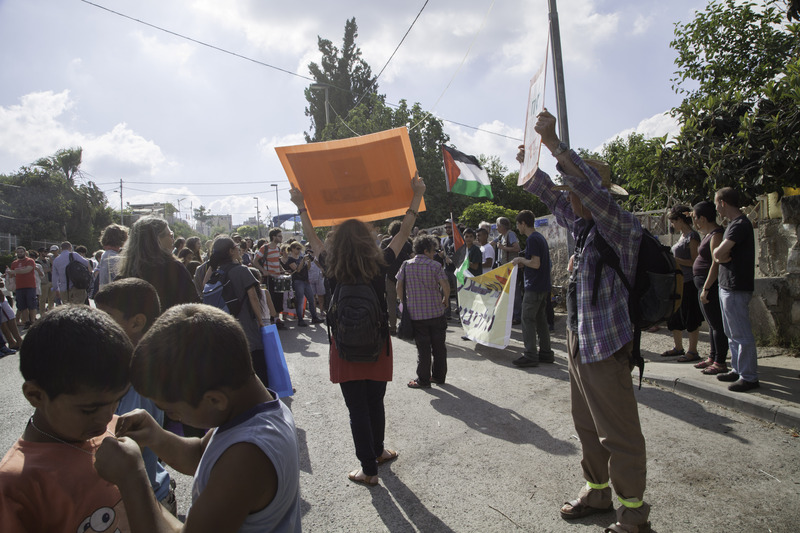 “You can’t make one law for Palestinians and another for Jews,” we say. It’s infuriating. I can feel the rage welling up in me, and the morning’s despair is also kicking in, along with the sick feeling of helplessness. We call Amiel, who confirms our reading of the law. Now it’s up to the shepherds to decide; we will follow their lead. 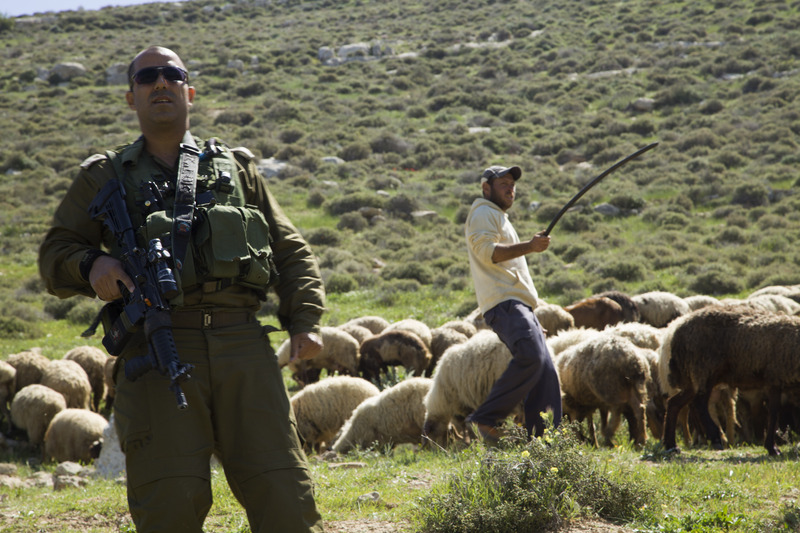 I rush over to explain to them in Arabic what the soldiers are demanding; I tell them that the law is with them if they move the herd just a little ways up the slope, but that there’s a danger that the soldiers will arrest them anyway. Several shepherds immediately start moving the sheep. It’s not so easy. Sheep are notoriously slow about such things. 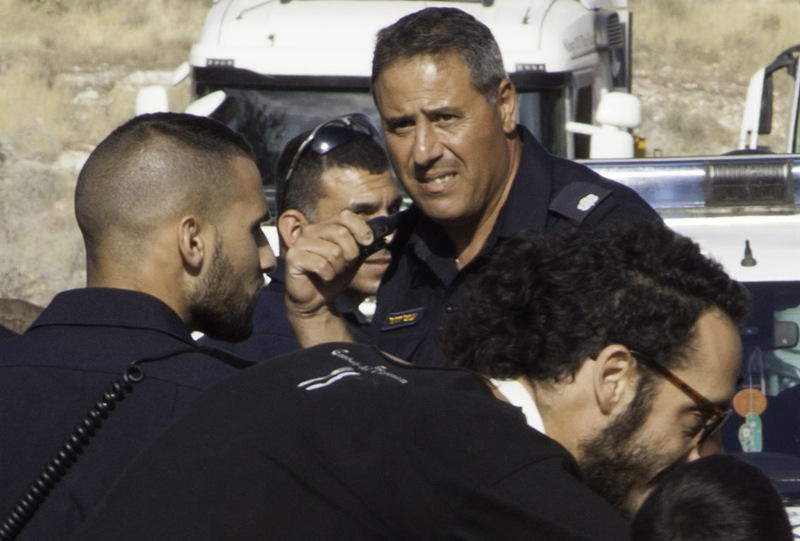 They’ve been feeding ravenously on the rich diet of thorns and greens in the wadi and they don’t seem to feel any particular respect for Big Officer who, looking around for a potential victim, settles on us. We’ve started walking backwards, very slowly and deliberately, as he barks at us and counts the seconds left. Is Big Officer a bad man? Let’s leave this question in abeyance. I’m not sure what it means. He seems unhappy that his order and his deadline have not been honored with alacrity. 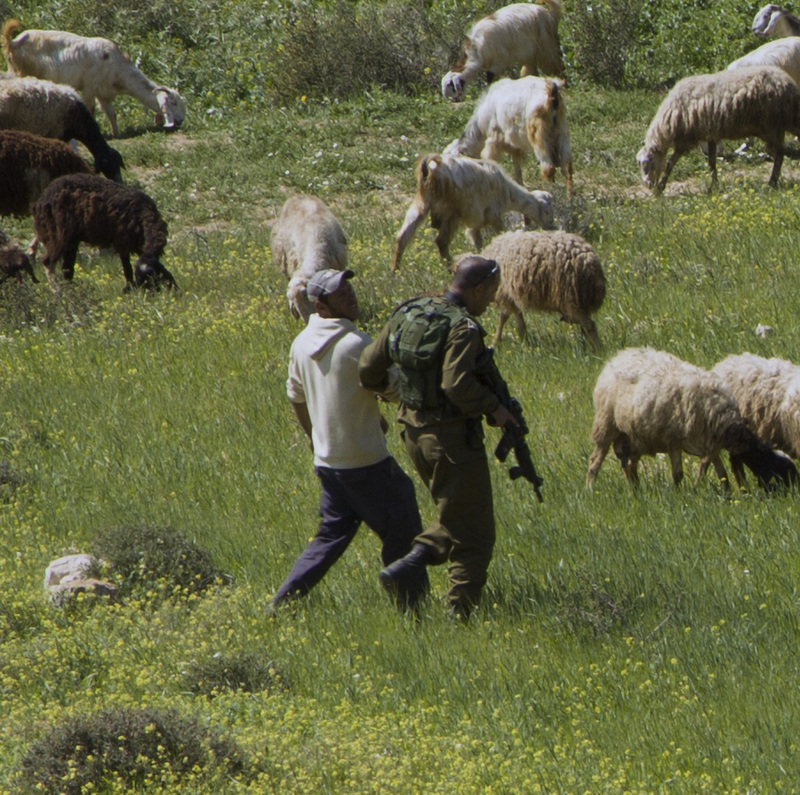 I wonder if he’s put out at having to waste a beautiful spring Shabbat morning chasing hundreds of stubborn sheep over the rocks. I also wonder if he has any inkling of how much harm he is doing to himself, to his manhood, to the subtle, hidden places of his mind, by inflicting cruelty on innocents, by humiliating them and treating them like children and by exiling them from what is theirs. 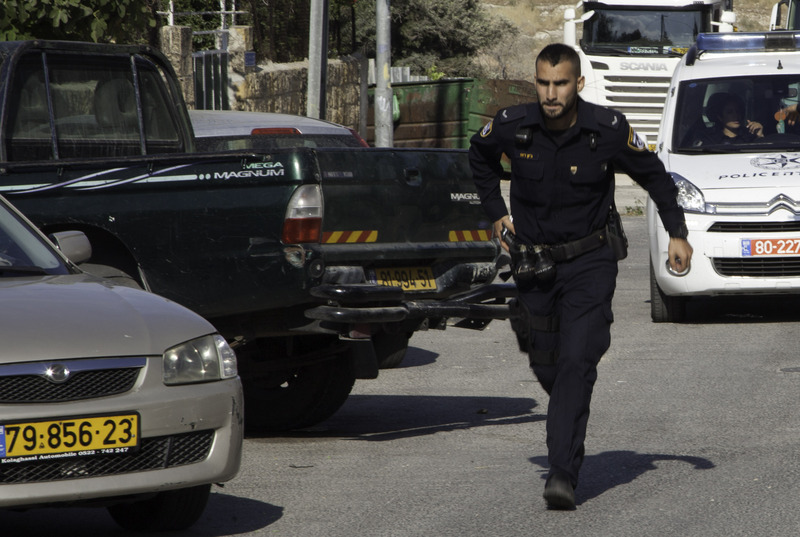 These thoughts flit rapidly through my mind and vanish into the sunlight because Big Officer has lost patience and arrested Hatim Suleiman Shafiq, though he was actually trying to obey the order and get the sheep going, and Guy rushes down to try to protect him so they arrest him too. The soldiers march their hostages to the jeeps. 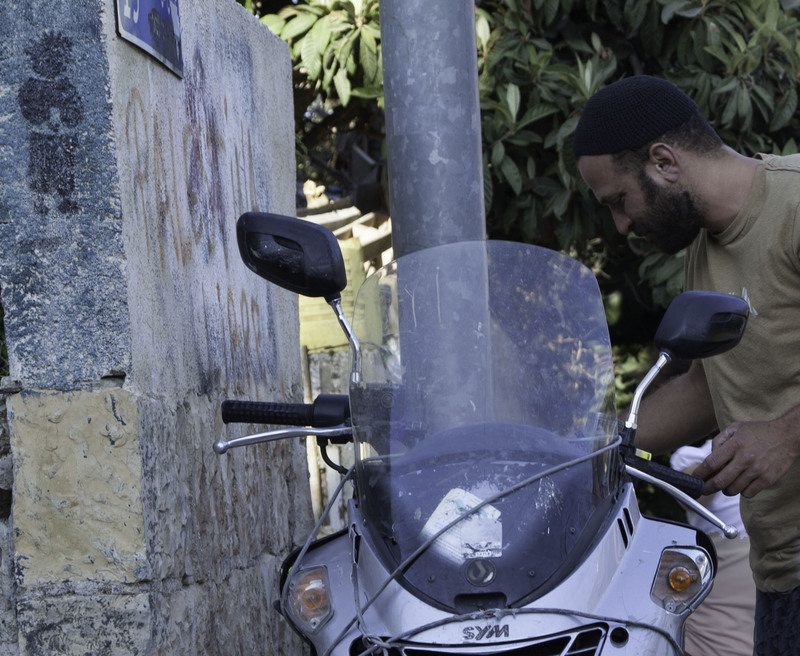 By now the police have also turned up, and Hatim and Guy are locked into their blue-white wagon. In the wadi, considerable chaos reigns. 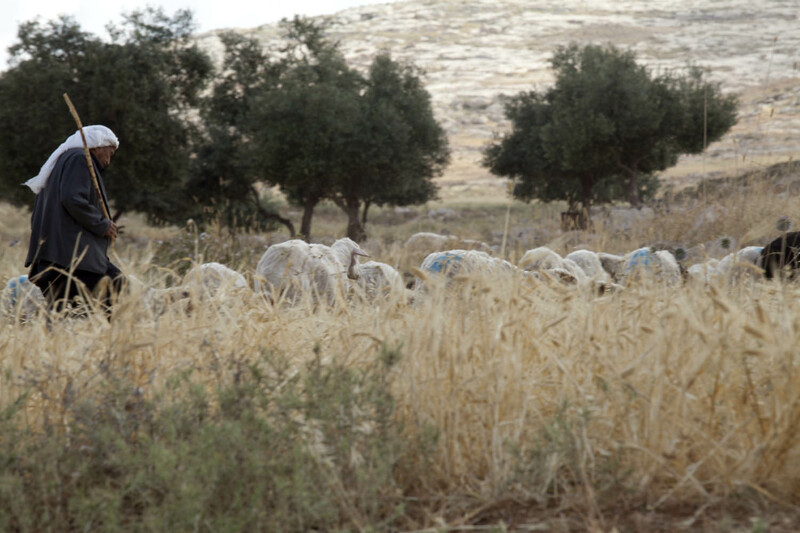 Oblivious, joyful, untold numbers of sheep are doing what sheep do, dotting the wadi with a furry beige. 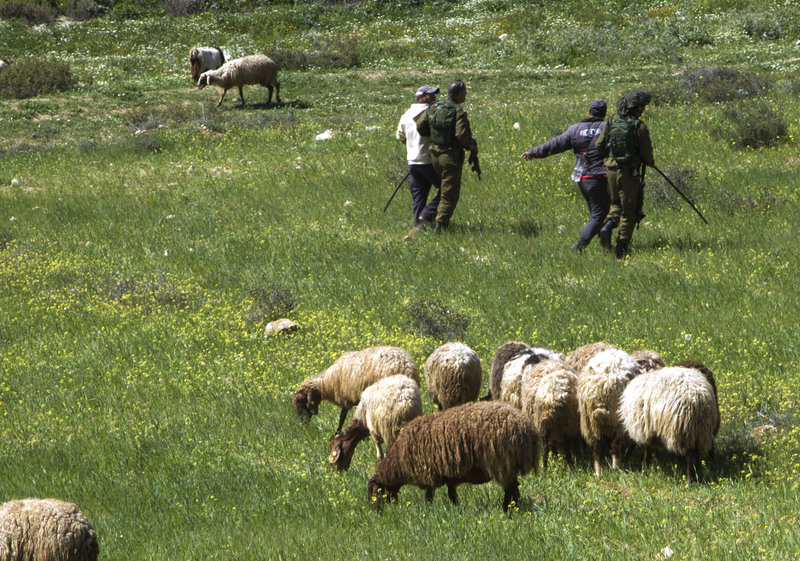 Two or three of the shepherds have managed to pry some part of their herds away from the thick foliage near the stream and to prod them some ways up the slope. They’re still far from the highway. Surprisingly, the soldiers, perhaps content with the initial arrests, seem to have forgotten all about their own arbitrary Oral Law. One contingent of them is poking with sticks through the tall grass as if they’d lost something of value there—as indeed they have. 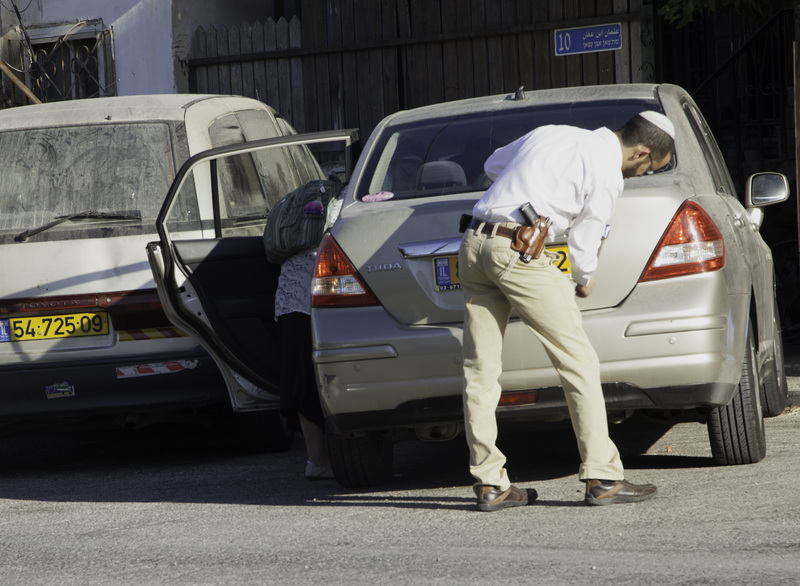 Just when I come to the conclusion that the men with guns have resigned themselves to recalcitrant ovine reality and the danger has passed, they suddenly arrest two more shepherds: Majlis Salim and Jihad Salim. 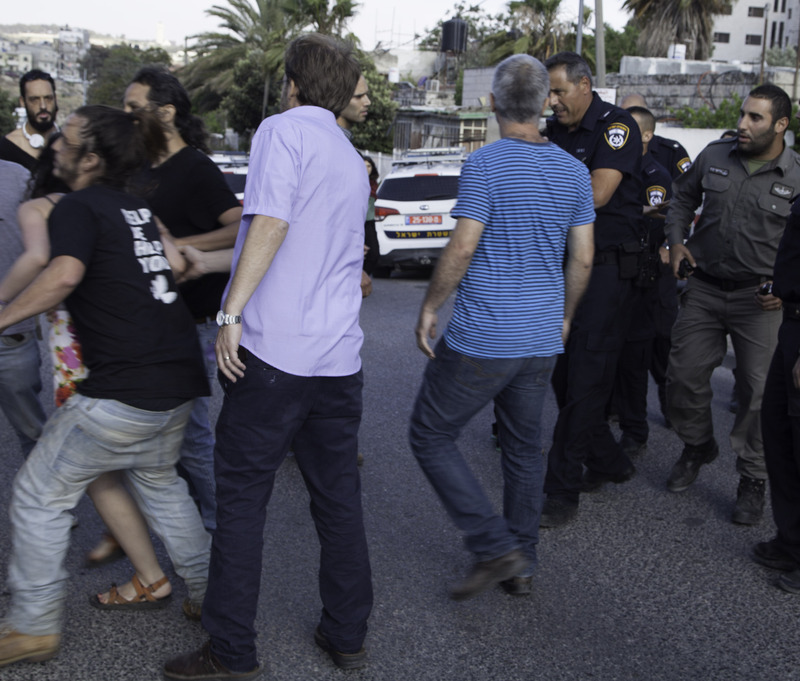 The arrests are swift and brutal, with much shoving and poking. We’re too far away to be of help, but I can’t bear watching this: despair again. Is it the good despair I’ve written about, the kind that makes you act and take risks and not think about results? I doubt it. It’s a black viscous feeling that goes well with the liquid gold washing over the hill. 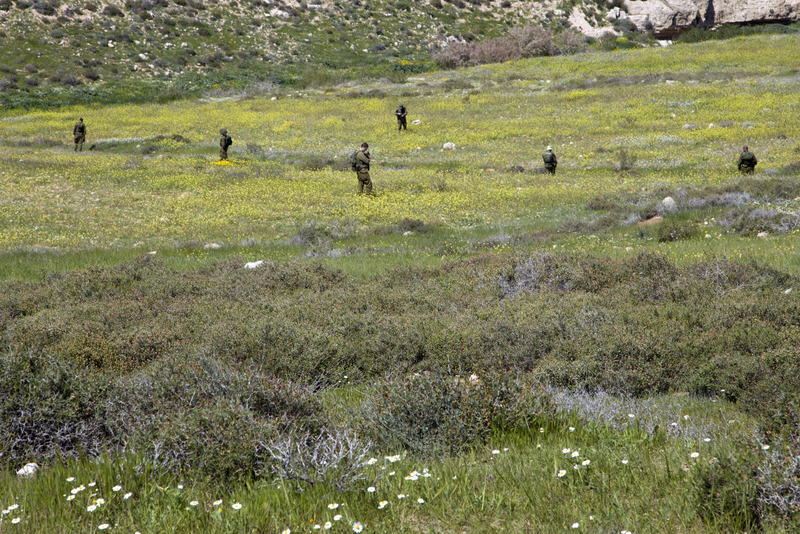 It may make you feel better to know that eventually all those arrested were released; that the police refused even to accept Majlis Salim and Jihad Salim at the station and sent them back to the soldiers, who had to let them go; that the other hostages who had been captured at Shweike and Umm al-Ara’is were also freed. 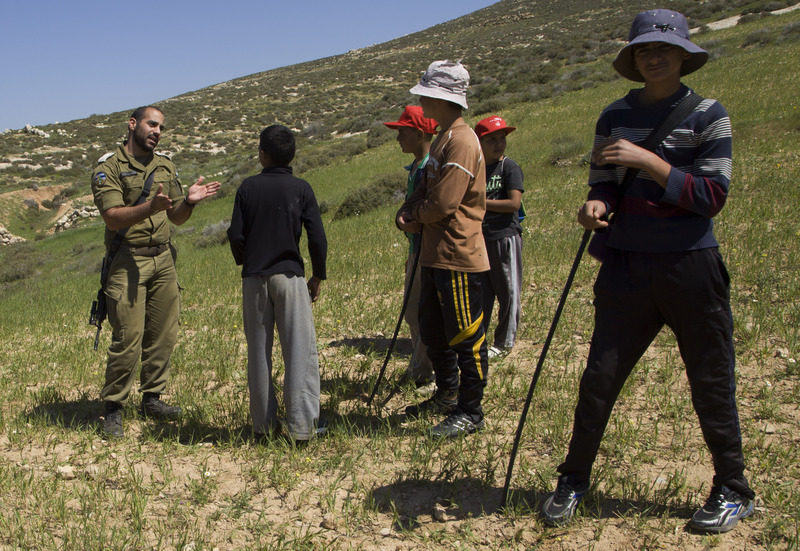 It was a messy, foolish day, maybe because the settlers are full of hate and fear as the elections come near, and they know that this time they may lose, so they pick on their usual victims and command the soldiers to do the same. Or maybe there’s no logic to it all except for the random but systemic logic of the Occupation itself, perhaps stirring itself awake in the first real week of spring. 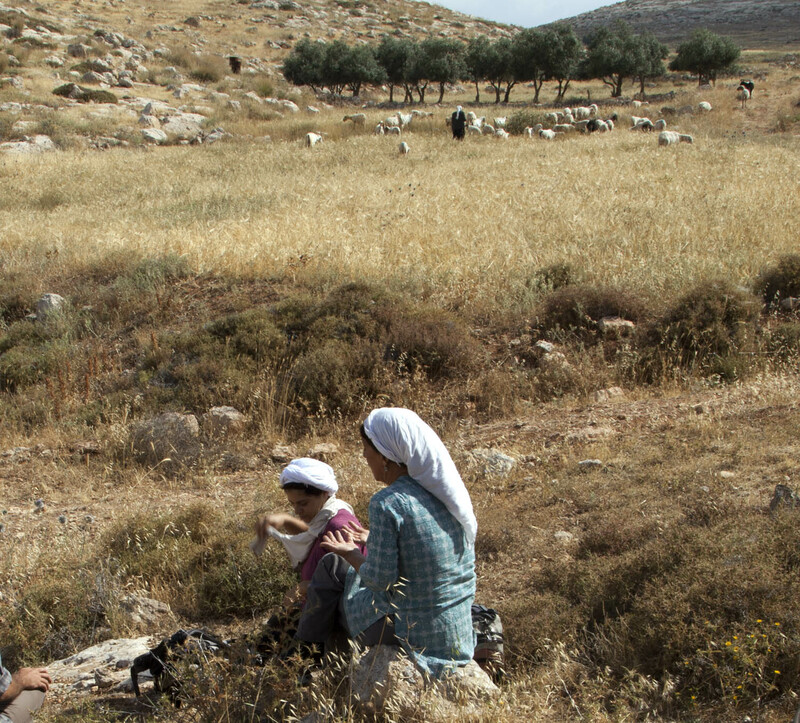 You might also feel better if I tell you that I figure that if we keep coming back week after week, the Palestinians may eventually get their wadi back and the herds will flow past the ravishing curve and happily blanket the hungry hills. What is required of us is no heroics but a dull steadiness and perseverance. I think it will work. Speaking of happiness, Peg told me when we said goodbye that she’d felt it today, and then I knew that I, too, had tasted that unthinking, unreasonable joy, the South Hebron happiness, unlike any other I have known, the kind that comes from looking straight at wickedness and not looking away. Some of the people I respect most in Israel and Palestine have been writing posts with the word “hope” in the title and gloom in the content. The “hope” of this picture’s title refers to the dashed one reflected in a message on a tee-shirt, but the photograph says more. Here hope looks like worry. The photograph is not an iconic image; it will not change the world or last for the ages. It is not a photograph of despair either. The people in this set of photographs for the most part just try to cope. 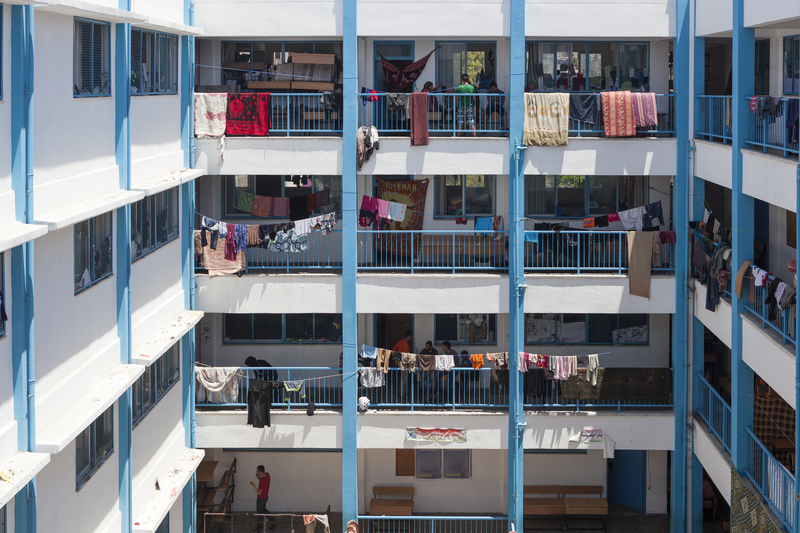 General view of the UNRWA School at Al Shati Refugee camp.The school hosts more than 2000 people. Photograph: Eduardo Soteras Jalil. 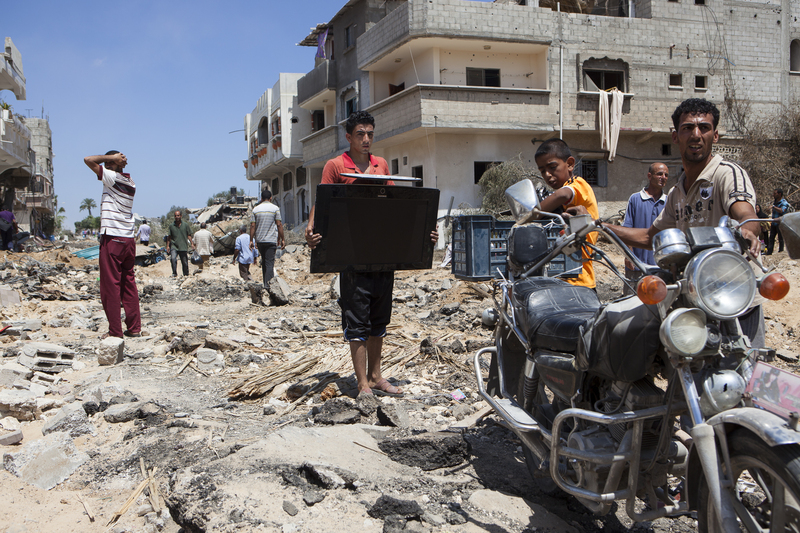 They do laundry; they leave ruined houses; if their houses have been spared for the night they return. Photography itself is a way to cope. 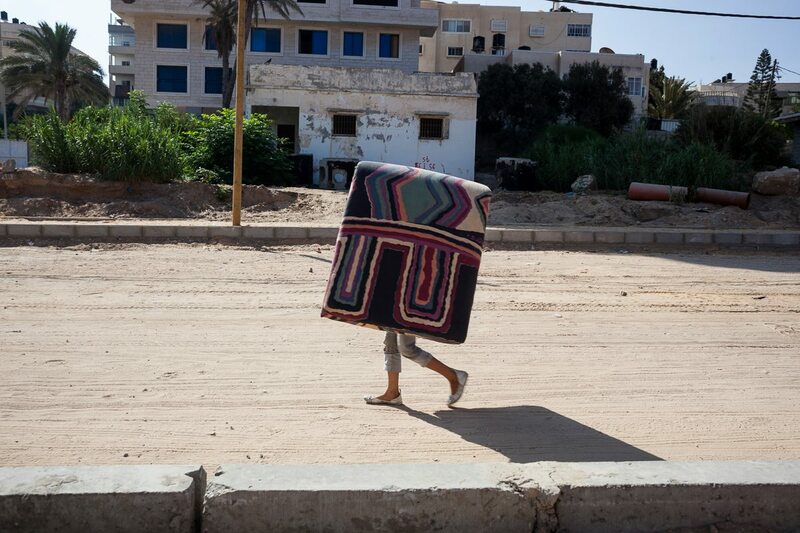 The Argentinian photographer Eduardo Soteras Jalil photographs everyday life under difficult conditions. 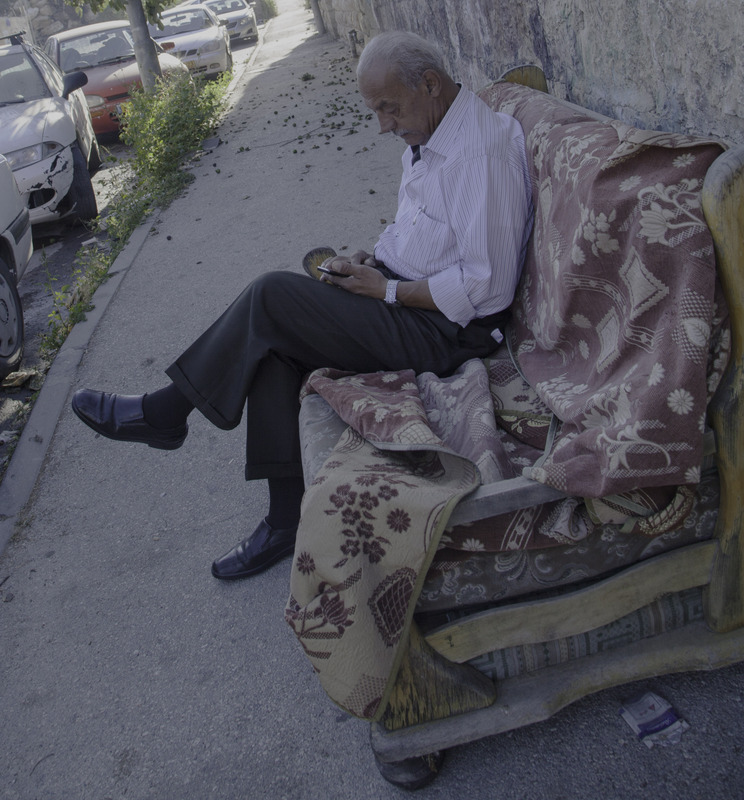 I met him this past spring at Dar Al-Kalima University College in Bethlehem at his exhibition “Masafer: Life in the Interstice,” the product of two years spent photographing people living in caves in South Hebron. 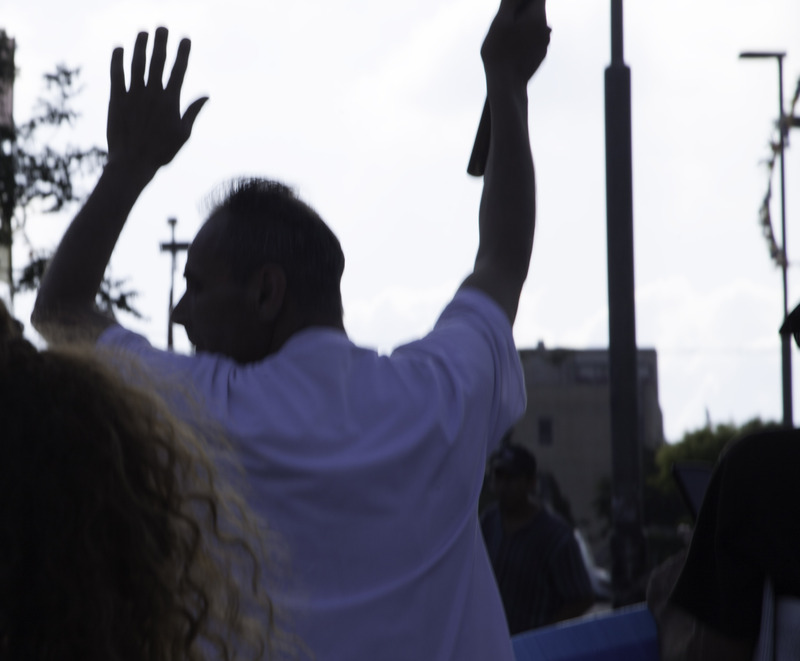 He had been in Israel and Palestine for over ten years, but when I last saw him in Ramallah, he said that it was time to do something else with his life and to go somewhere else to do it. 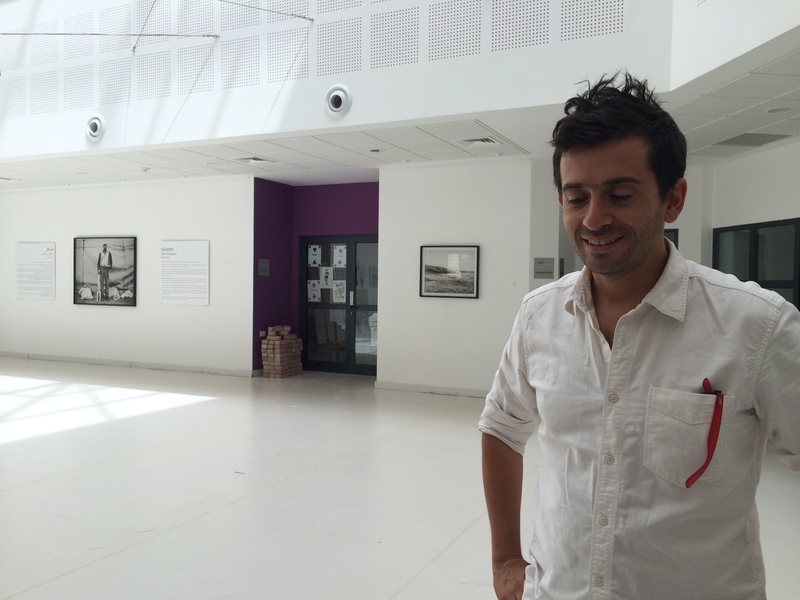 He went to Finland, but when I caught up with him by email last week he was back, and in Gaza. In his blog, which you may read in Spanish here, he writes: “no sé muy bien que hago aquí.” I don’t really know what I am doing here. He is not looking for the iconic picture (see my previous post); he does not want to cover “current events,” an expression that seems to leave him cold. A photographer of everyday life, I sense he has little experience and perhaps little interest in photographing death. 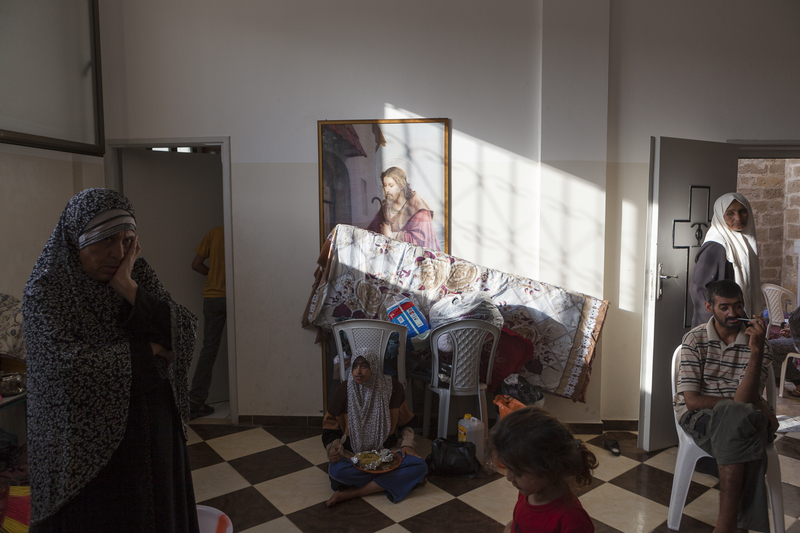 Unlike some gruesome photographs from Gaza, the piled bodies, the blazing neighborhoods, the weeping parents, these show the everyday weariness that such catastrophes leave and that can last for years. Sensational pictures draw urgent attention to what is happening now, but we can look at these pictures longer. They offer a space to let the people and their predicament sink in. Or better, they leave room for imagination – not that imagination that conjures images of the exotic or the impossible, that provides extreme experiences vicariously, but imagination that unites our horizon with that of others – the everyday imagination within which we envision our lives while we live them. We can see ourselves as these people trying hard to keep living such lives. 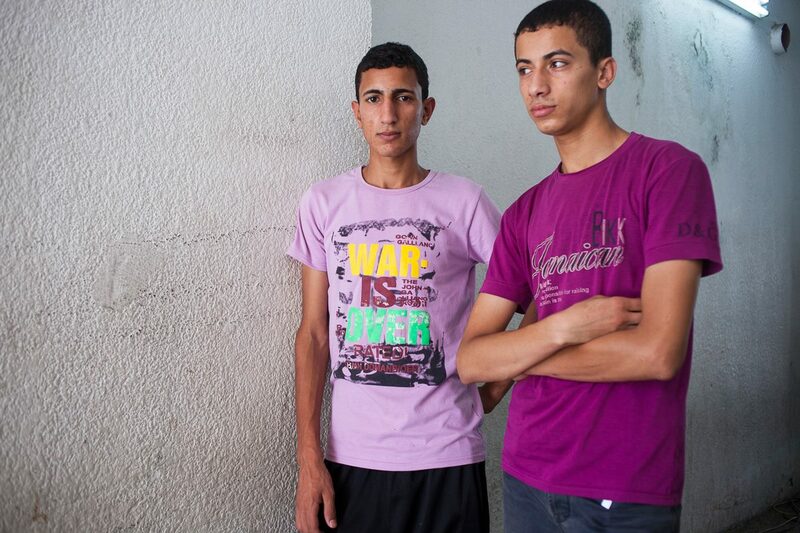 We connect with them as the two young men above connect warily to one another and to the photographer, through crossed arms and a gaze that passes from one to the other to us. I hope in future posts to flesh out the role of imagination in photography. Here, however, imagination imputes resilience to the people in these photographs, or in the environments shown in them. For the most part they do not appear to be victims. They cope and above all wait, each in their own way. The photographer waits, too. To photograph in this manner means to settle in for the long term. Two weeks will not do. The photo may endure even if its subject does not. 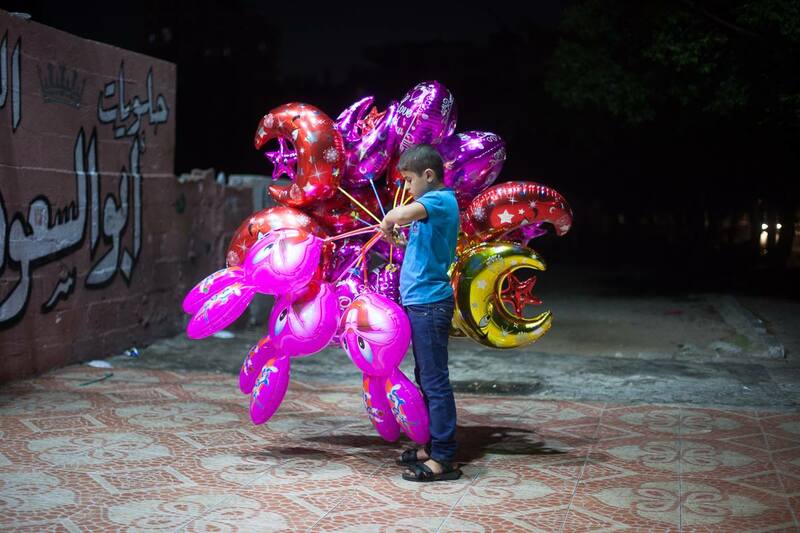 In the New York Times Lens Blog, the recently returned photographer Tyler Hicks talks with James Estrin about his search for the “enduring photo in Gaza” during his stint, covering the conflict in his first two weeks. In his own view, Hicks’s contribution was to create the iconic picture that shows us the essence of what occurred on his watch. But for some others, his purpose should have been to create a balanced photographic reportage that would tell the entire story in pictures. Criticism has been leveled against the alleged partiality of his pictures, and to the New York Times for choosing biased photographs. Hicks, so goes the argument, failed to photograph any Hamas combatants that might illustrate the motivation for an attack that caused an unintended massacre on a beach. The argument makes grand claims about photography’s seemingly limitless power. A more legitimate complaint, if it is that, might follow from photography’s limitations: because photography shows only the visible, photographs can be coopted precisely by the people who make the first complaint. 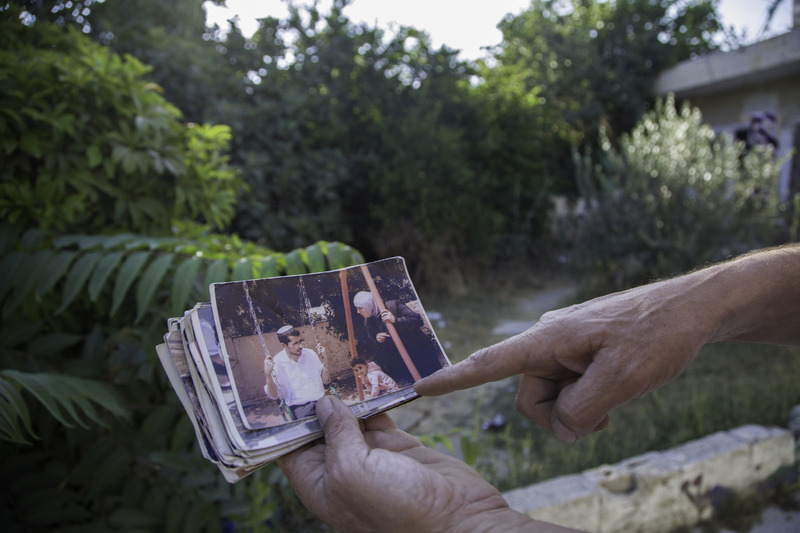 Any child killed violently in Gaza is an affront to morality. But to whose morality? 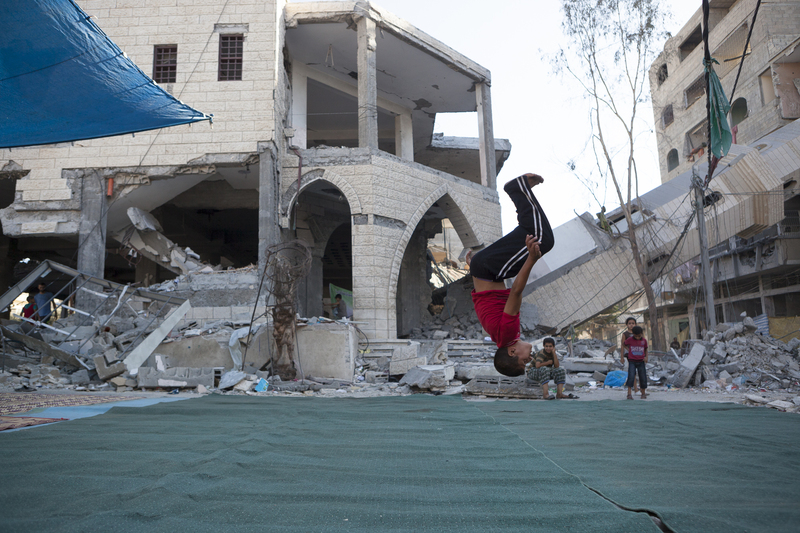 For one speaker, an opponent of the Israeli strikes, the child shows the ruthlessness of an Israeli military that kills civilians indiscriminately or even viciously. To another, who supports the strikes, the child represents a Hamas public-relations coup. 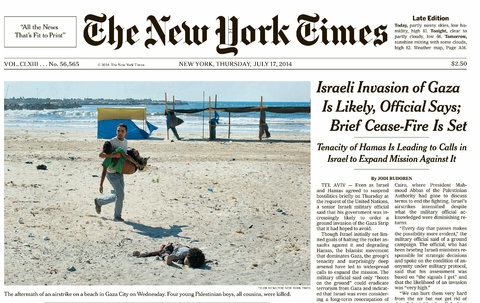 One argument goes: Every dead child discredits the Israeli army and thus helps Hamas’s cause. Therefore they use such children as human shields, launching their weapons from their midst. 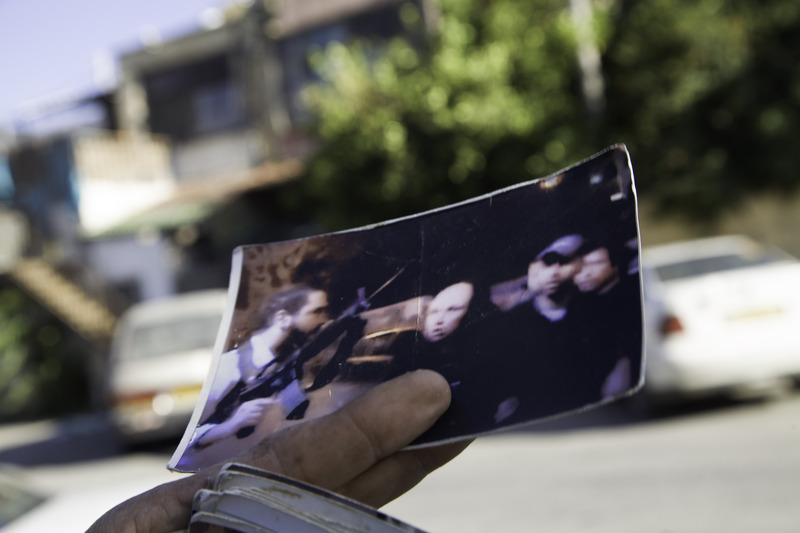 For what it is worth, Hicks’s own account of the process resembles the Israeli government’s account of the civilian killings, according to which the Hamas’s fighters are invisible: Hamas does not distinguish them through uniforms, and it launches its rockets from within the civilian populations who then become targets. In part, this argument is a response to the criticisms about his partiality, mentioned above. He knows that most people looking at this picture will blame Israel and its army for this death. Even if the evidence for one or another view were in the picture, few people could look at it long enough for more than the simple fact of the horrific act to register. Even if they share the photograph or join in the outcry against the bombardment, they will nevertheless turn the page, click on the next photograph, and try to put it out of their mind. Another complaint with some legitimacy is that the very artistry of such photographs paints the people in them only as victims. They seem to be passive and nameless. Our right to see this child’s suffering is legitimized by the fact that this one child stands for other children. To show his suffering to others may help end the situation, once the right words manage to tie the picture to a convincing argument for the cause and the solution. If Hicks is right, this child’s image could help end this war, as still images once helped end America’s war in Vietnam. Moreover, the picture will stand not (only) for the child who is its subject, not (only) for all Palestinian children killed in this war, but for all children killed in all wars, for a long time to come. 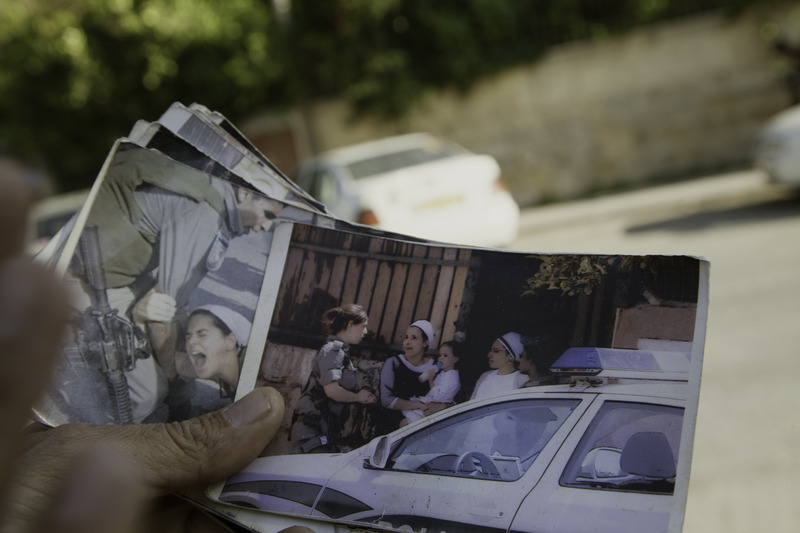 For the record, I find that civilian deaths rather than photographs of them are doing a good job of discrediting the army and the Israeli government, but I do hope that the photographs help to put an end to this war – or to make permanent the ending that at this writing seems to be in the works. 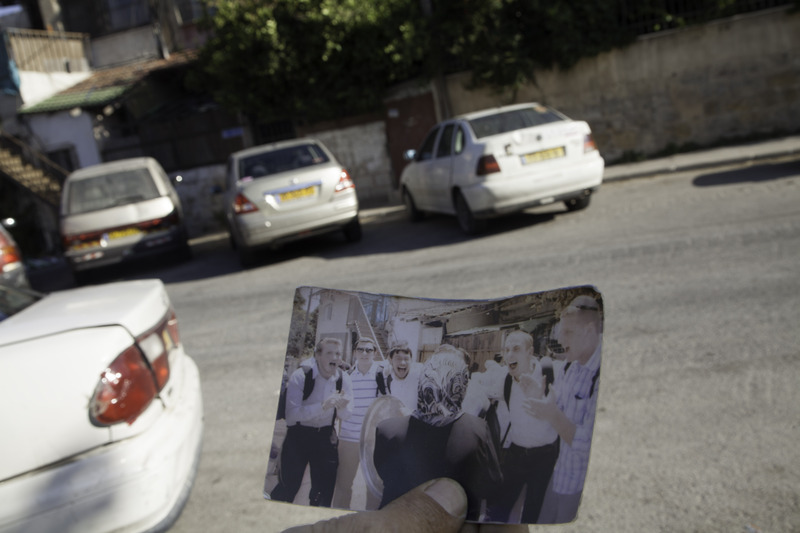 I am sorry if the photographs also help Hamas. 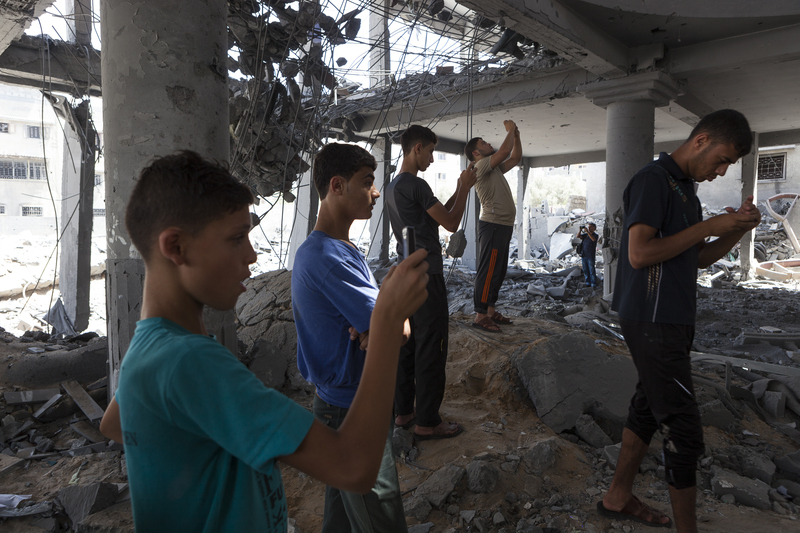 There are, however, other ways in which photographs are being deployed in Gaza, which I will hope to discuss in my next post. It is a pleasure to be here . 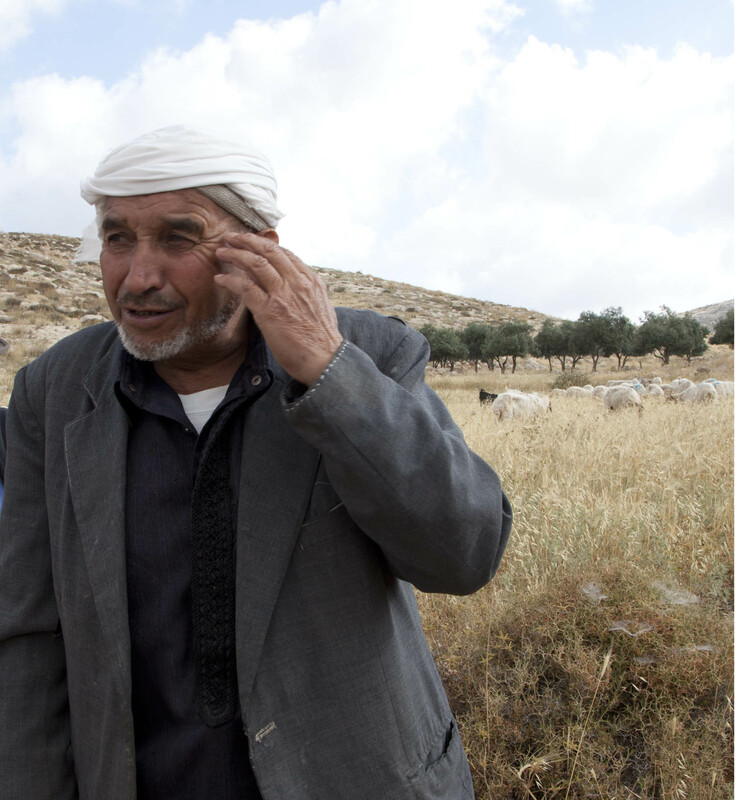 . .
To keep their land, Palestinian shepherds must graze their sheep close to the settlement. Otherwise, the land is abandoned and free for the taking. 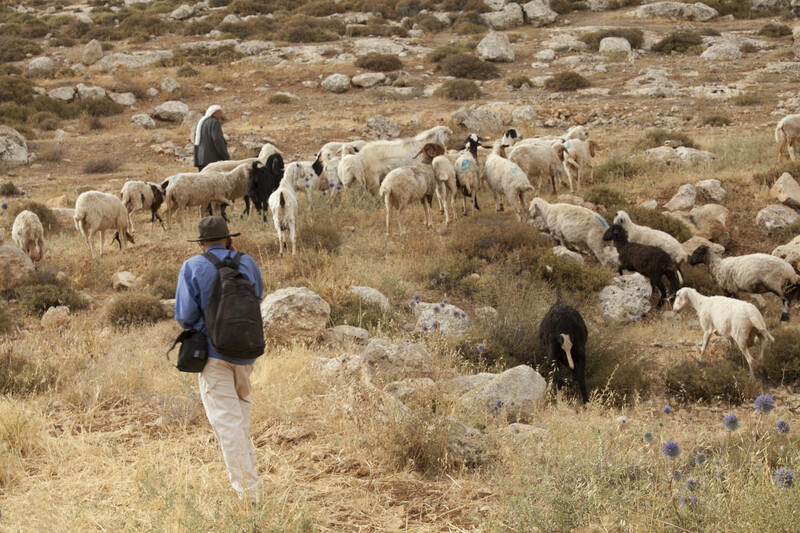 But the shepherd refuses to move closer. far closer than when the Ta’ayush volunteers first came two years ago. He cannot be persuaded to advance further this week. All photographs and texts © 2014 Margaret Olin.